During the Engage Disability Conference 2014, NCCI-IDEA was called on to lead the Regional Hub Engage Disability in India. NCCI-IDEA is also one of the core members of Engage Disability Advisory Committee and was also the acting secretariat for Engage Disability 2014-2016. Rev. Christopher Rajkumar, the executive Secretary of NCCI and director of IDEA served as the Chairperson of Engage Disability, India so far. The Mission of God is an imperative;along with and for the disabled; who have potential to be full and active members of the Church, community and society at large. For treating the person with a disability as an object of charity; or of a lesser class. Though disability is prevalent in the world, it is less prevalent in the church. 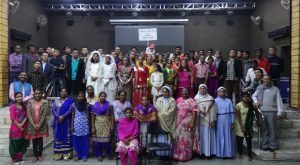 We have accepted traditions and imposed structures, processes and attitudes which prevent those who are affected by disability from accessing the church, the Christian community—and our own programs in India. If we are not actively including people with disabilities, we are passively excluding them;and we have missed the opportunity to show the heart of the Gospel. By the Gospel of Christ, in establishing the “reign of God” to work toward justice, love and peace for all; including persons with disabilities. We are motivated by the holistic healing narratives in the Gospels to minister both to and alongside persons with disabilities. For us as a community of Christian faith, it is a mandate that we accompany one another in reaching the highest potential for which God created us. Who furthered this message by coming “to preach good news to the poor and proclaim freedom for the prisoners and recovery of sight for the blind…to release the oppressed.” (Luke 4:14-21) Jesus saw people with disabilities, challenged their marginalization; and He responded with Love. He showed great concern for both physical and mental challenges as He addressed their spiritual condition. Stand with our Brothers and Sisters who have disabilities, ensuring that they are centrally involved in this process and movement. Promote inclusion of those with disabilities in all aspects of the church, our programs, and community. We acknowledge that God’s purposes are often worked out through those whom the world has rejected and despised. We acknowledge that societal structures, including those in Christian communities, can prevent God’s people from playing a full role in the body of Christ. We value team work and acknowledge that the body of Christ is incomplete without our Brothers and Sisters affected by disabilities. We believe that we are loved by God and are called to express His love to others, including those who are marginalized. We exhibit this love through both word and deed. There is blessing when we include those with disability in the church, our programs and in our communities where we work. Created in the image of God, they can enjoy the right to “wholeness”; no longer simply being objects of our benevolence, but enabled to be “givers” themselves. In this way, our paradigm shifts from giver-receiver mode to the “accompanier”mode; and as a result, we all can truly experience abundant life. 1Corinthians 12:22 says that the seemingly weaker parts of the body are indispensable. Luke 14:13 says, “Invite some people who never get invited out, the misfits those with disability,. You’ll be—and experience—a blessing”. 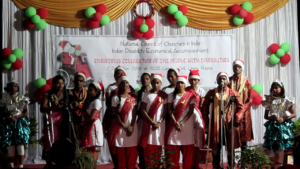 NCCI –IDEA (Indian Disability Ecumenical Accompaniment) is an Ecumenical Initiative of National Council of Churches in India accompanied by Unity and Mission. 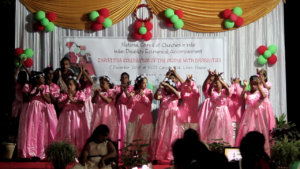 NCCI – IDEA theologically motivates ministerial interventions of its constituencies in encouraging and facilitating the Indian Churches to be inclusive and disabled-friendly. Considering the importance of inclusivity, the XXVIII Quadrennial Assembly of NCCI has chosen a theme ‘Towards… Just and Inclusive Communities for this Quadrannum thus, the Members of NCCI would be encouraged to ensure that their ministerial interventions result in inclusivity. 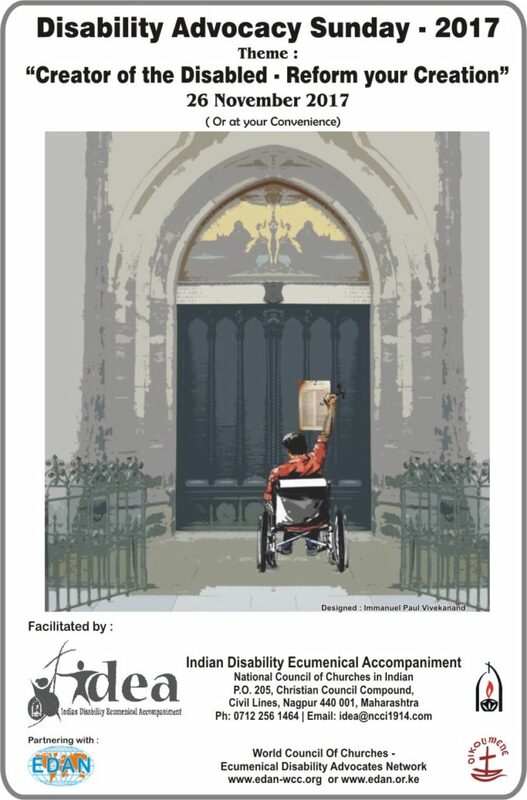 Since 2009 the Disability Advocacy Sunday (DAS) is being organized by NCCI – IDEA along with ecumenical organizations, local congregations and institutions. NCCI-IDEA has been a facilitator of conversations with communities in Church and Society in regard to advocacy for disability rights. The recently concluded interfaith roundtable on disability has propelled the work with significant stride towards just and inclusive communities. Considering the importance of observing this day, the NCCI Executive Committee in 2011 officially approved of designating the Sunday before the Advent as DAS, since 3rd December the International Day of People with Disability. From its inception, DAS has focused on ‘An Inclusive Church’, through its sermons, urging the Church, to move from being charitable, to becoming an accompanier seeking justice ‘for’, ‘by’ and ‘with’ persons with disabilities . 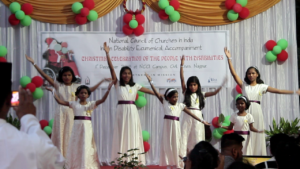 Surveying the past celebrations and the positive responses from the Churches and the local congregations to the observance of DAS, NCCI-IDEA expects that the congregations have become more open to PWDs and more Disabled-friendly. This year Churches and the Congregations are encouraged to contemplate on the theme: ‘Creator of the disabled, reform your creation’. Persons with disabilities reflect God’s image and likeness. Hence, we are praying to this Creator God to reform creation through the persons with disabilities, with the 500th year of reformation as the background. Every year, NCCI – IDEA assists the Churches and the Congregations with the Order of Worship for DAS observances. Since 26th November 2017 is the Sunday prior to the Advent season, IDEA recommends to churches to observe it as DAS. In case you are not able to observe the DAS on 26th November, please feel free to observe any Sunday that is convenient to you and your congregations. 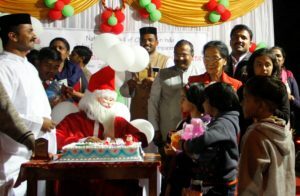 We are glad to inform you that the NCCI-IDEA have already planned to celebrate ‘Christmas of the Disabled’ on 3rd December 2017. Therefore, we encourage you to organize and celebrate along with us in your respective Churches and Congregations. Kindly, share with us the inspirational stories and the divine interventions through the DAS 2017 in your Church or Congregation. 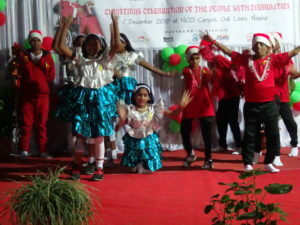 The Disability Christmas Program, a first of its kind at Nagpur especially for PWDs (Person with Disability) was jointly organized by IDEA (Indian Disability Ecumenical Accompaniment), a forum of National Council of Churches in India (NCCI) and the Commission on Youth-NCCI in the evening of 2nd December 2016 at St. Ursula Girls School, Nagpur. The Disability Christmas program was a platform of inspiration and encouragement to see the season of love, joy and happiness from a different perspective. Rev. Rony Jacob (who himself is a person disabled because of an accident) gave an encouraging Christmas message about accepting Christ once again back in our lives. The Mizo Christian Fellowship of Nagpur enthralled the audiences with their beautiful traditional song and dance. The main hallmark of the program was the spectacular presentation by children with disabilities from Jeevodaya Special School. The presentation touched and inspired the hearts of all the audiences as thunderous claps began from the moment the children began to perform. The program concluded with prayer and a group photo shoot. 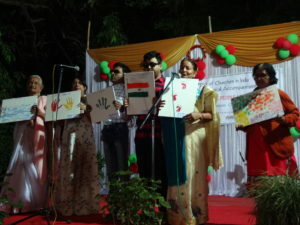 Many people appreciated the program and some even encouraged the participating bodies to continue organizing this program even in the years to come because such a program is not only special for the disabled, but it also helps the community to come together in solidarity with, and commitment to the cause of, PWDs within the society.